Savouring a vintage wine is one of life’s great pleasures. But often overlooked in the joy of consumption is the carefully calibrated journey from grape to glass. Similar levels of care are critical to good investment outcomes. A host of variables can determine whether a wine is great, good, mediocre or undrinkable. These include the quality of the grapes, the soil, the position of the vineyard, the weather, the irrigation and the timing of the harvest. And picking the grapes isn’t the end of it. The harvest must be sorted, the grapes crushed and pressed, then fermented, clarified, aged and bottled. At any stage of the process, a lack of attention to detail can spoil the final outcome. 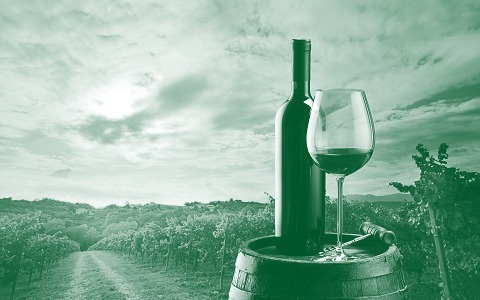 As in winemaking, investment management requires attention to detail—researching and identifying the dimensions of expected returns, designing strategies to capture the desired premiums, building diversified portfolios and implementing efficiently. Just as winemakers don’t have any say over the weather, investment managers can’t control the markets. Not every harvest will produce an excellent vintage, but expert professionals can still maximise their chances of success by putting their greatest efforts into things they can influence. For winemakers that may be taking extreme care in picking the grapes at a time that delivers the desired balance of acidity and sweetness. For investment managers, it can mean precisely targeting the desired premiums while ensuring sufficient diversification to lessen idiosyncratic risk in the portfolio. Winemaking is as much an art as a science. While fermentation comes naturally, the winemaker must still guide the process, using a variety of techniques to ensure the wine is as close as possible in style and flavour to what he is seeking to achieve. Similarly, in investment, real world frictions mean that basing one’s approach purely on a theoretical model is unlikely to be successful. For instance, trade-offs must continually be made between the expected benefits of buying particular securities and the expected costs of the transactions. Managing the effects of momentum and being mindful of tax considerations are among the other issues to be balanced. Dealing with uncertainty and navigating the “unknown unknowns” are part of the job. So investment managers must build into their processes a level of resilience, through diversification for instance, so they have sufficient flexibility to work around unforeseen events. Ultimately, the benefits of discipline and attention to detail are easy to overlook. Great ideas count for a lot, of course. But great ideas, without efficient implementation can mean even the best grapes in the world go to waste.